On Aug. 2, 2013, we took our 6-year-old son, Brayden, to the Emergency Department at Children’s Hospital of Pittsburgh of UPMC. He had been suffering from severe headaches and dizziness for two weeks. 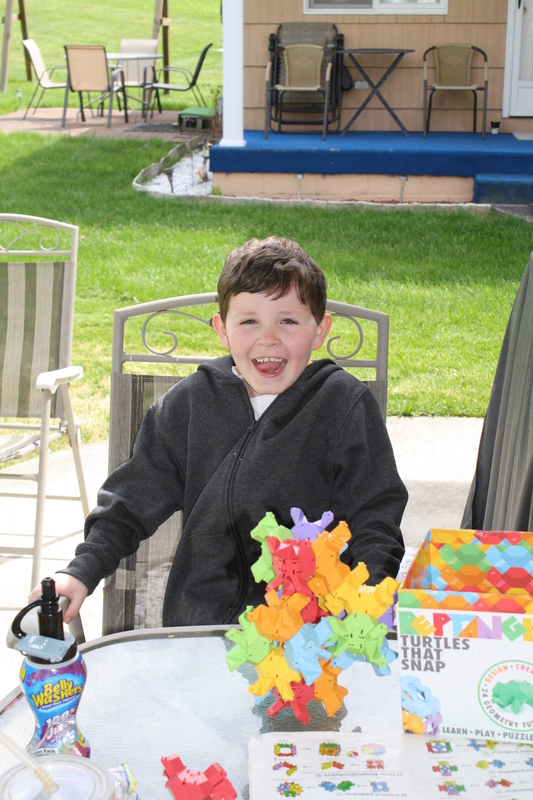 A few hours later, we were told the devastating news that Brayden had a brain tumor near his cerebellum. Our lives changed forever in that single moment. The rest of that night was a blur filled with doctors, nurses, and many tears. I couldn’t tell you the words they said. But I will forever remember the way we were treated. From the child life specialists who sat with Brayden while we talked to doctors; to the nurses who stayed long past their required time to talk us through that first night, we were treated with compassion, kindness, understanding, sympathy, and respect. 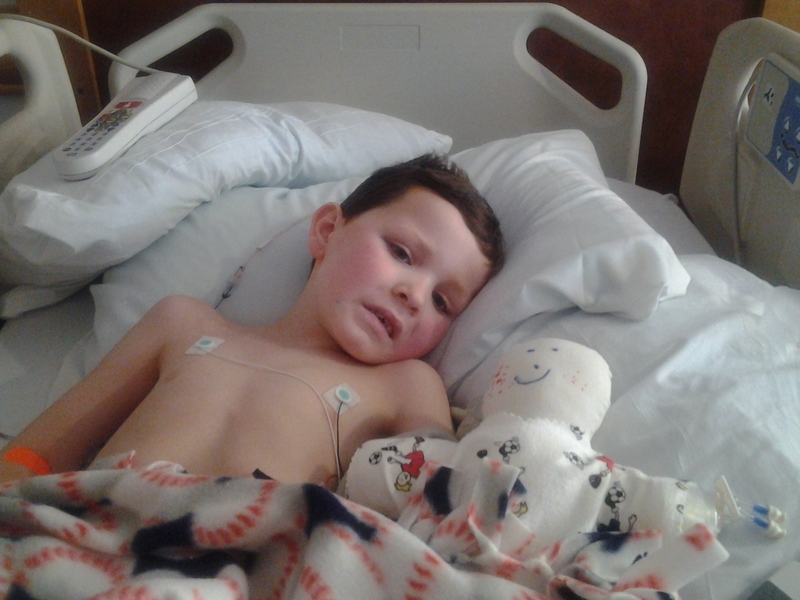 Two days later, Brayden underwent brain surgery to remove the tumor. While the surgery was a success and pediatric neurosurgeon Elizabeth Tyler-Kabara, MD, PhD, was able to remove the entire tumor, he was left unable to sit up, walk, or even move his neck for days. For a week and a half, he worked with Physical and Occupational Therapy while recovering from surgery. All of the staff at Children’s Hospital, from the doctors down to the maintenance workers, were extremely friendly and helpful. We truly felt we got to know each of them, and even became friends with some. There are a few nurses and therapists I know I will never forget. Before transferring from Children’s Hospital to an inpatient rehabilitation center, Brayden was officially diagnosed with Grade 2 Ependymoma. While his tumor was not cancerous, it is still dangerous and has a very high regrowth rate. Due to the likeliness that it will return, it was recommended that Brayden complete six weeks of radiation therapy in order to eliminate any tumor cells that may have been left behind. During this time, we lived at the Ronald McDonald House, which is attached to the main hospital. We were able to stay together as a family, along with Brayden’s younger brother and sister, throughout his treatment. This alone was an incredible gift. If it weren’t for the Ronald McDonald House and the staff of Children’s Hospital, I truly don’t know how we would have survived this. They gave us a home away from home, an extended family to lean on, friends to talk to, advice when it was needed, and a shoulder to cry on. I will forever be grateful. They made this the best possible experience that it could be given the circumstances. Brayden is 7 years old now. He just finished first grade and managed to achieve straight As for the year despite missing 40 days of school due to his treatments. 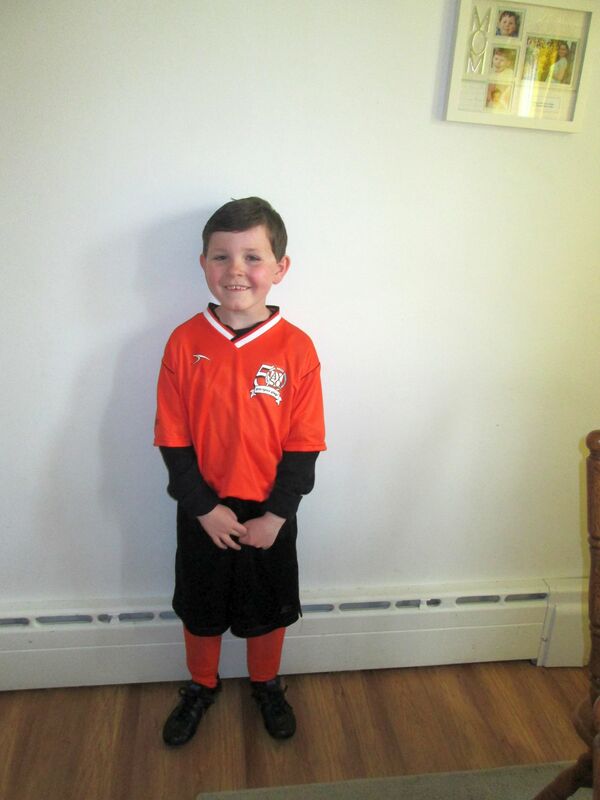 He played soccer this spring, joined the Cub Scouts, and is living as normal a life as possible. We travel to Children’s Hospital often for doctor’s appointments and MRIs to check on possible tumor regrowth. His one-year follow-up MRI showed no evidence of tumor recurrence. We know there is a good chance his tumor could regrow and while we are fearful of that every day, there is comfort in knowing he is under the best possible care if anything should happen. I think of your son daily! I pray this was a freak thing that happened to him and that God has touched him and taken away his tumor FOREVER!! Childrens is an awesome place! God Bless your family!! You are a true hero Brayden….May God be always with you….Best Wishes..